the Embassy of Italy in Jordan. 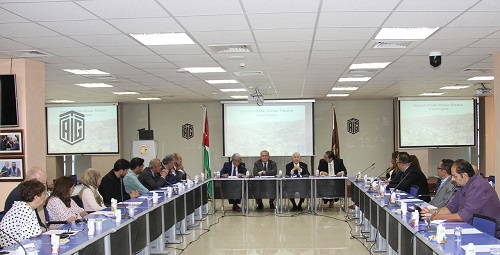 The project aims at requalifying Urban Historical Areas in Amman, in line with the historic role of Italy in protecting the Kingdom’s heritage sites. 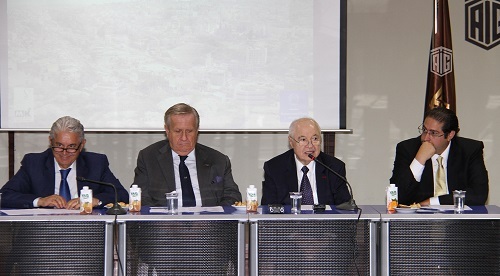 Architect Dr. Kamel Mahadin, coordinator of the working group, launched the project on Monday 10 September, at 11:00 am during a Press Conference at the Talal Abu-Ghazaleh Knowledge Forum with the presence of HE the Italian Ambassador to Jordan, Giovanni Brauzzi and HE Dr. Talal Abu-Ghazaleh. The main objective of the initiative is to achieve a comprehensive proposal for requalifying and making attractive for tourists and residents the pedestrian trail from the Citadel to the Roman Theatre by linking these two iconic sites of Downtown Amman. This could be realized through the restoration of specific parts of the urban areas on such a road and favoring the rebirth of some touristic facilities such as restaurants, coffee shops, handicraft ateliers and art galleries in addition to the upgrading of pavements and lights. The initiative will be implemented by combining academic methodology and a practical attitude and conducting site visits by architects and archeologists to collect data and get first-hand impressions. This will be followed by meetings to collect useful previous studies and papers. After that, a brainstorming workshop with selected stakeholders including specialists will be held. Stakeholders are encouraged to disseminate a full-fledged “Call for projects” to university students. Finally, a public ceremony will be dedicated to the explanation of the projects and awarding of the winners. The project is part of the extraordinary Cultural program “Italia, Culture, Mediterraneo” promoted by the Italian Ministry of Foreign Affairs in the Middle East and North Africa Region for 2018.